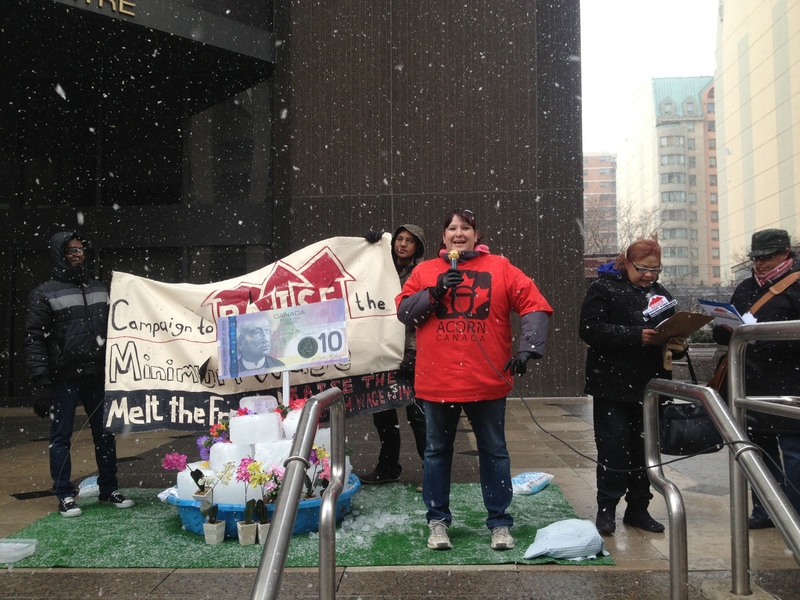 TORONTO - A mock $10 bill — frozen in a block of ice — was presented to a representative Ontario's Ministry of Labour on Thursday afternoon in protest of the government's minimum wage freeze. The protest was organized by The Campaign to Raise the Minimum Wage, a coalition of several advocacy groups in Ontario. Members of the group include Ontario ACORN, Worker's Action Centre, and Ontario Coalition Against Poverty. 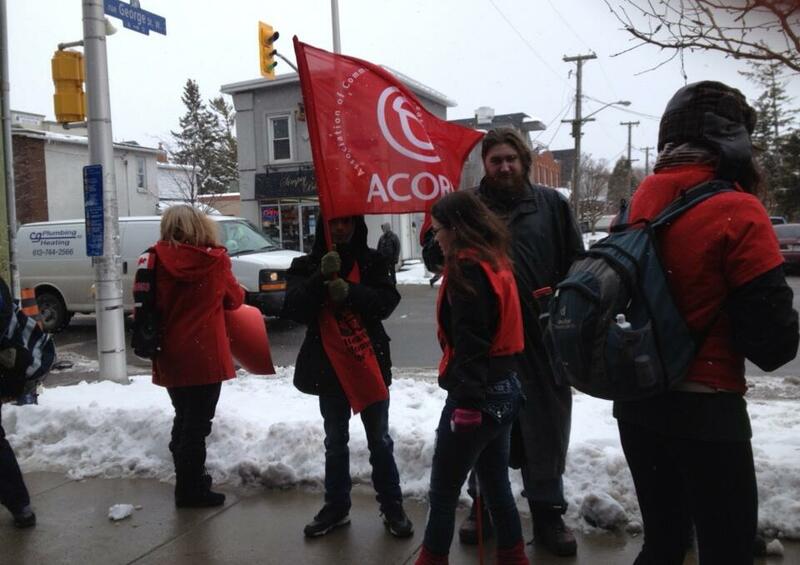 A small group of protests from the Association of Community Organizations for Reform Now, known as ACORN Ottawa, took to Preston Street to launch their campaign to have Ontario's minimum wage increased to $14 an hour, March 21. A group of Oshawa residents recently sent a message to their provincial representatives, a block of ice. Inside the ice, laid across Oshawa MPP Jerry Ouellette’s office doorstep, was a $10 bill. It symbolized the wishes of some Ontarians who want to see the minimum wage increased. 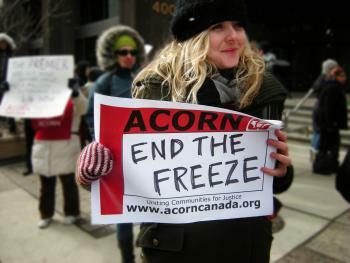 Nicole Mason, leading member of Toronto ACORN from Flemingdon Park, and Deena Ladd of the Worker's Action Center appeared on CBC Radio's Here and Now. Listen here. Their message was that Ontario's minimum wage needs to go up to $14 an hour now, and it needs to be indexed to inflation. Unfreeze minimum wage. Increase it to $14 an hour. Then index it to the rate of inflation. The only question now is whether the Wynne Liberals will listen to anti-poverty and labour groups or bow to pressure from the business community who say an increase will only lead to cutbacks in the number of minimum wage workers. A social justice group that advocates for low income Canadians is calling on the provincial government to raise the minimum wage to $14 an hour. Nadia Willard Ottawa ACORN says $10.25 an hour isn't enough to make ends meet. TORONTO, March 21, 2013 /CNW/ - At a province-wide day of action on Thursday March 21st, communities from around Ontario will demand an immediate minimum wage increase. Blocks of ice with frozen $10 bills will be delivered to the Ministry of Labour and MPPs in over fourteen cities. Ontario's minimum wage has been frozen for 3 years, while the cost of living continues to rise. 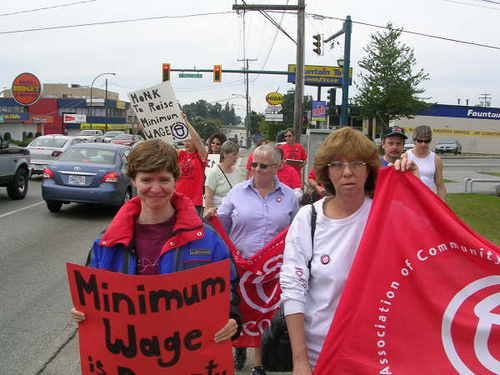 The minimum wage should bring workers and their families above the poverty line. That means Ontario's minimum wage should be $14 in 2013. 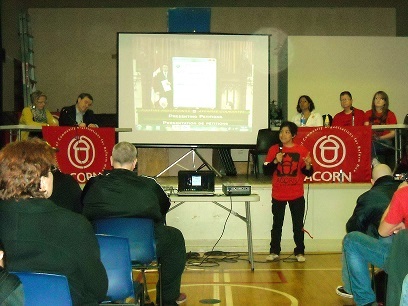 ACORN Canada members have a long history of fighting for better wages in their communities.